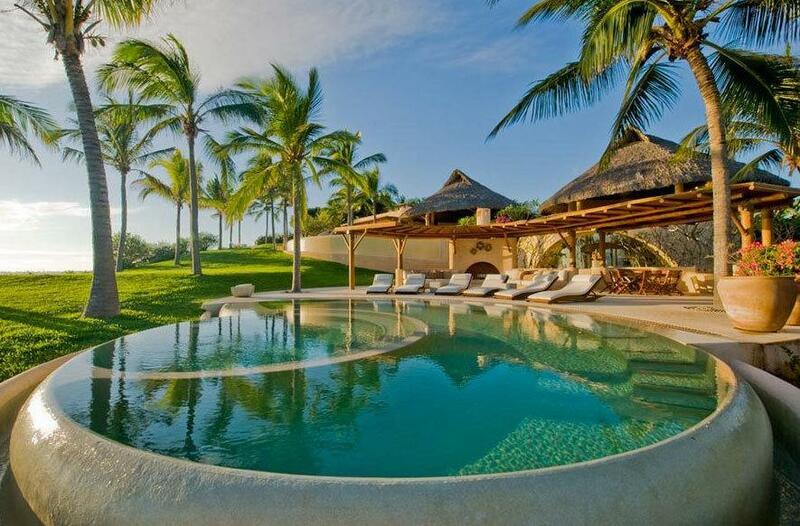 Villa 1512 features two haciendas - a main residence and a guest residence. Together, they provide more than 19,000-square-feet of indoor living space. A third residence serves as the House Manager's quarters and office. Occupying nearly three prime acres, the two haciendas comfortably accommodate a maximum of 18 adults or 20 total guests, including young children. 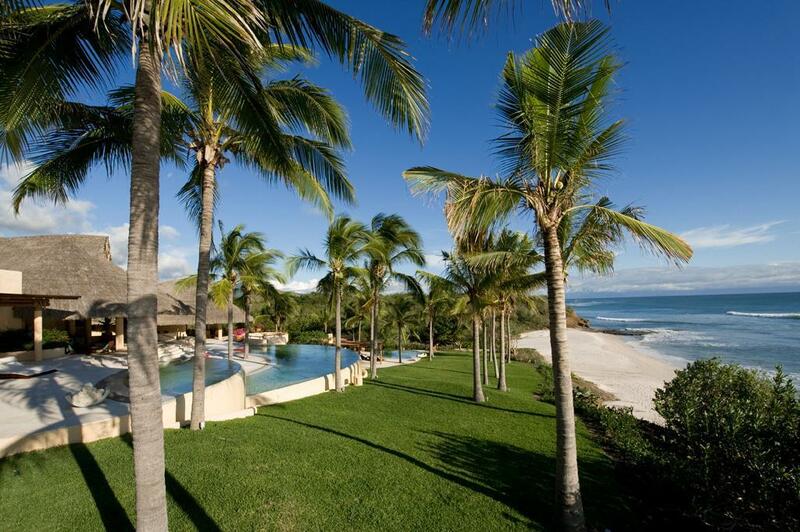 The estate is located on the beach in the Ranchos Estates neighborhood of Punta Mita, Mexico's premier gated community and resort destination. For our guests' security and peace of mind, the enclave has two guard-monitored entrances and Villa... has electronically operated gates. 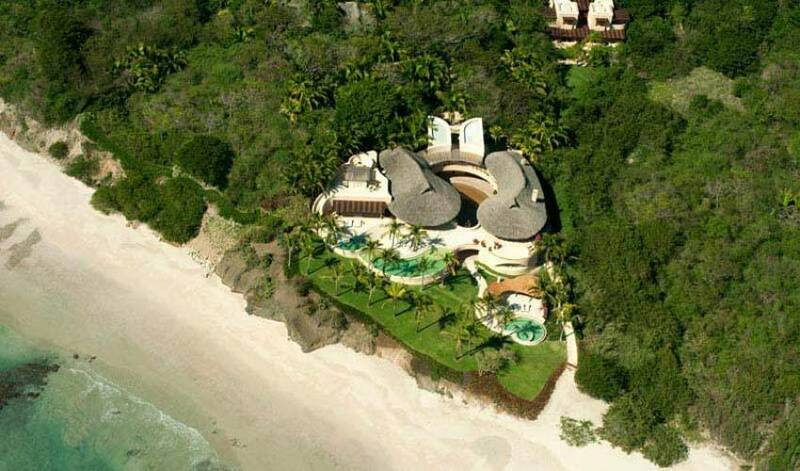 The enclave and the community are monitored 24 hours a day and there is also a beach patrol. 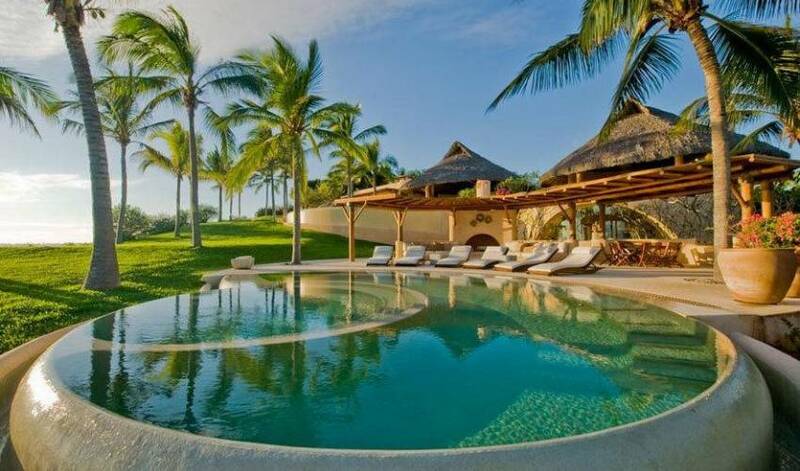 The Villa employs a full time staff of ten including a personal chef, wait staff and manager on site 24 hours. 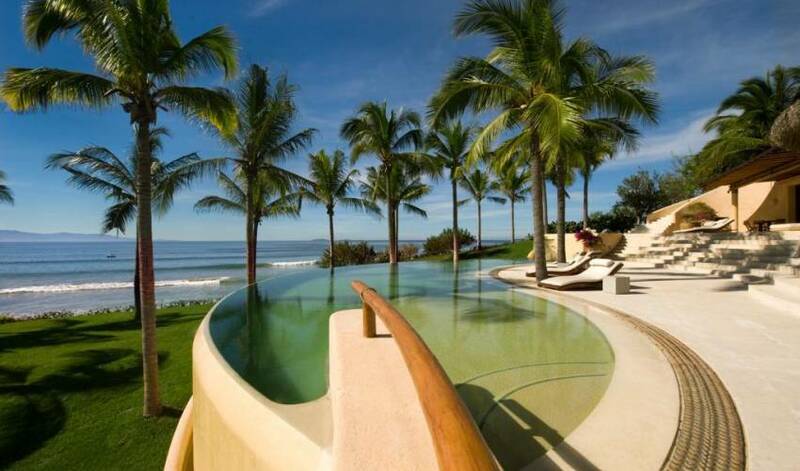 The estate has three separate infinity swimming pools in an "aqua courtyard" on two levels, each that overlook the Bay of Banderas. The pools feature an electronic monitoring device for each child. For added peace of mind nannies and lifeguards are available upon request for a fee. The haciendas and much of the grounds are wheelchair friendly. There is a state-of-the-art sound system in the entertainment and dining areas. 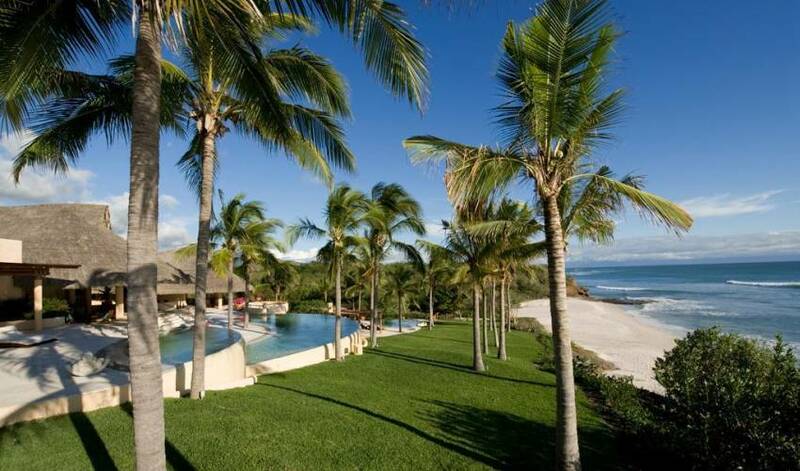 Extraordinary in every way, the two-story main hacienda provides ample indoor and outdoor living space, and its beach and Bay of Banderas views are incomparable. 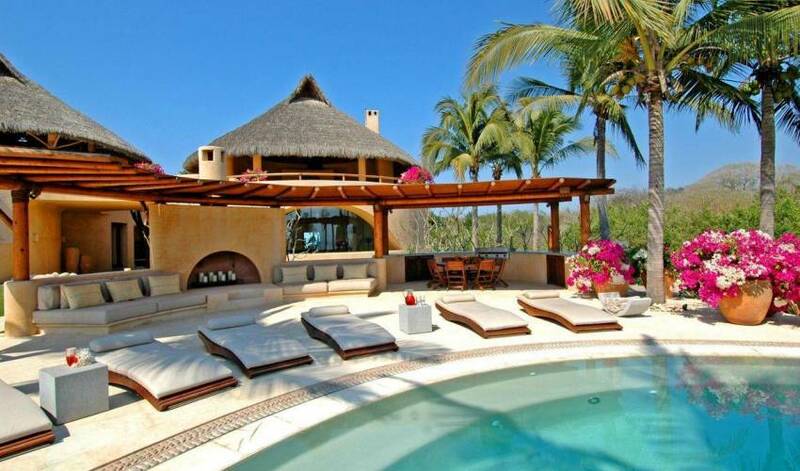 The main hacienda features five bedrooms (one is a Master Suite) and seven bathrooms. Located on the second floor, the Master Suite has a king size bed, large soaking tub and outdoor shower. Two guest bedrooms overlook the courtyard and one has a king size bed and the other has two queen beds. On the main level are two bedrooms, each with a pair of twin beds. 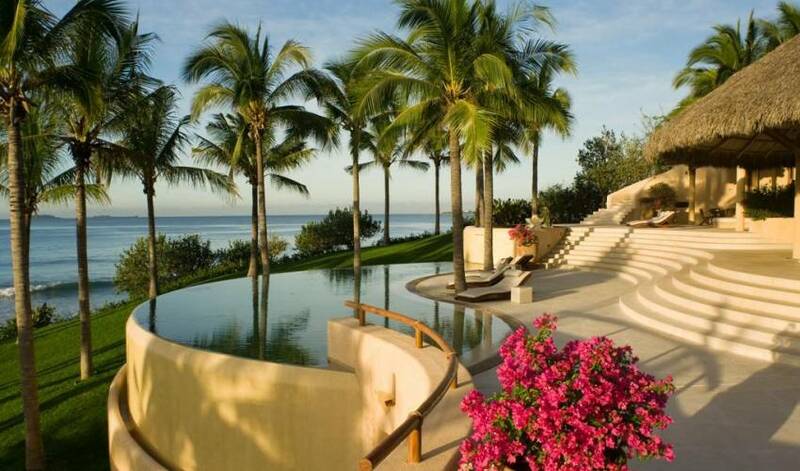 Guests can enjoy a rooftop lounging area for private sunbathing and an observatory for stargazing. An outdoor, covered Dining Pavilion provides seating for 20 and offers great views of the Bay of Banderas and the beach. The Living Room Pavilion offers comfortable seating, Bay of Banderas views and also offers Internet connectivity via wireless service. The Media Room features a 72" high definition LCD satellite TV, DVD player, DVD library, a surround sound system, a bar and ample seating. Both haciendas provide high speed Internet access, while the Vonage phone system allows for convenient calls to and from North America. 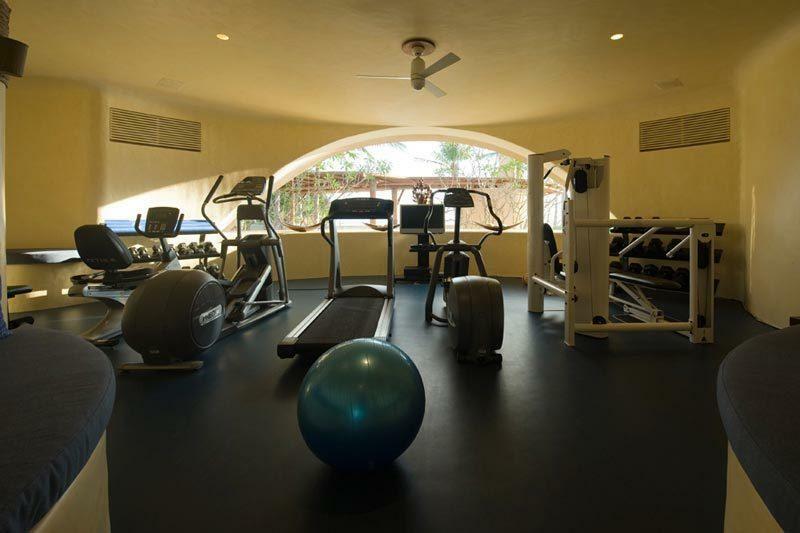 Guests can stay in shape in the Fitness Room, which is equipped with state-of-the-art cardiovascular and weight training equipment. 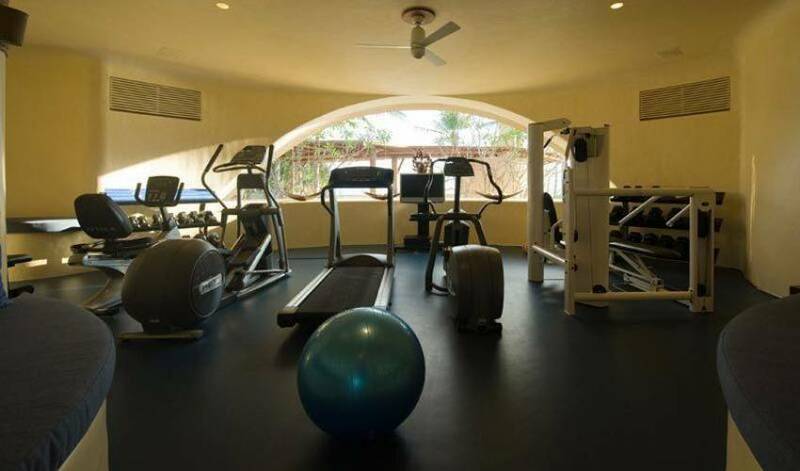 The Fitness Room provides a view of the beach and its built in TVs and sound system help make for a great workout. The room comes with a shower and bathroom, and it is only 50 steps from the outdoor Jacuzzi and the Beach Pavilion. 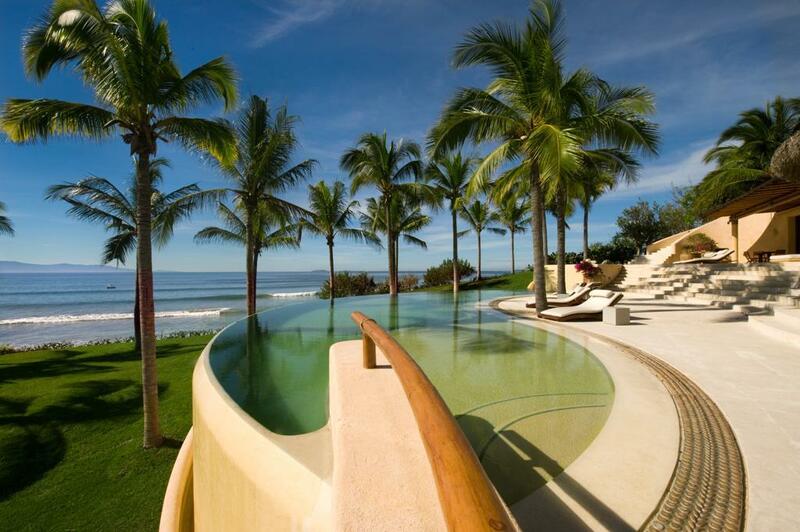 Of the estate's three pools, the main pool and the Master Suite pool are on the second level of the Main Hacienda. The two-story guest hacienda provides a generous amount of indoor and outdoor living space, as well as great vistas of the jungle and distant mountains. 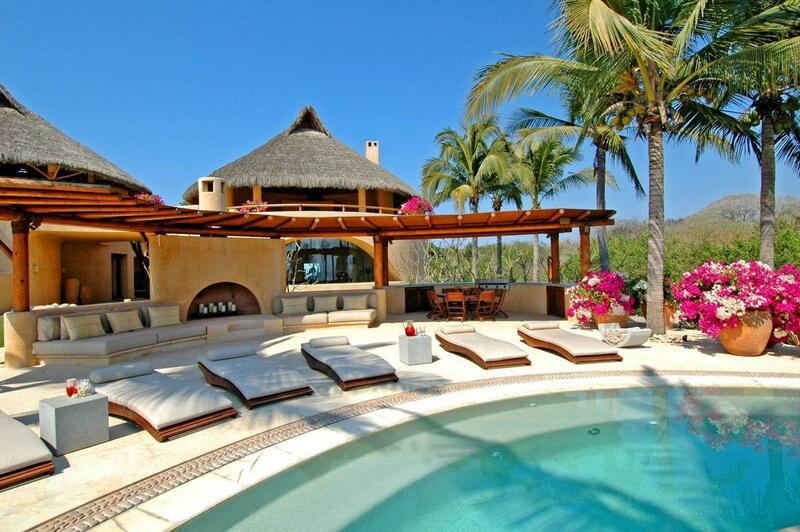 The guest hacienda features four bedrooms and bathrooms. The upstairs has two bedrooms with king beds. The two main floor suites have two separate rooms - a bedroom and sitting room. Each room has two queen sized beds and a pair of couches convertible to twin beds. The two downstairs suites have outdoor showers and two second level suites have outdoor terraces. 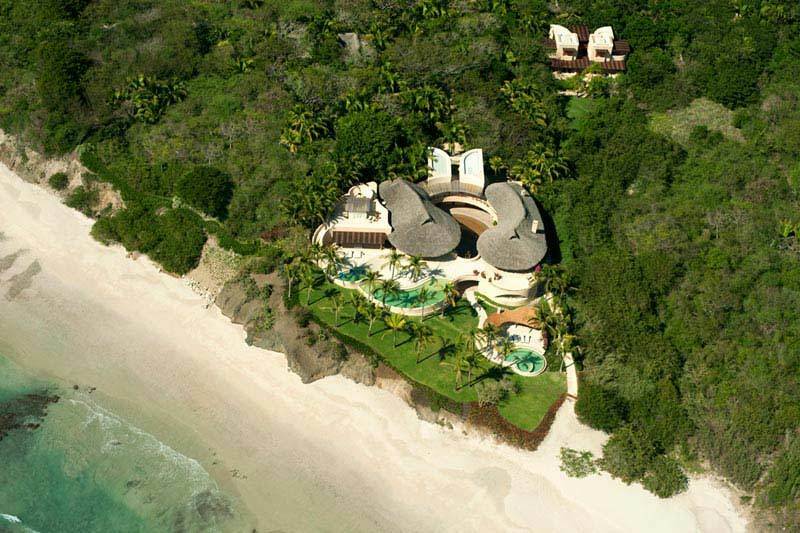 The residence also has two rooftop lounging areas for private sunbathing and an observatory for stargazing. A lighted path of hand laid stone connects the guest hacienda with the main hacienda. 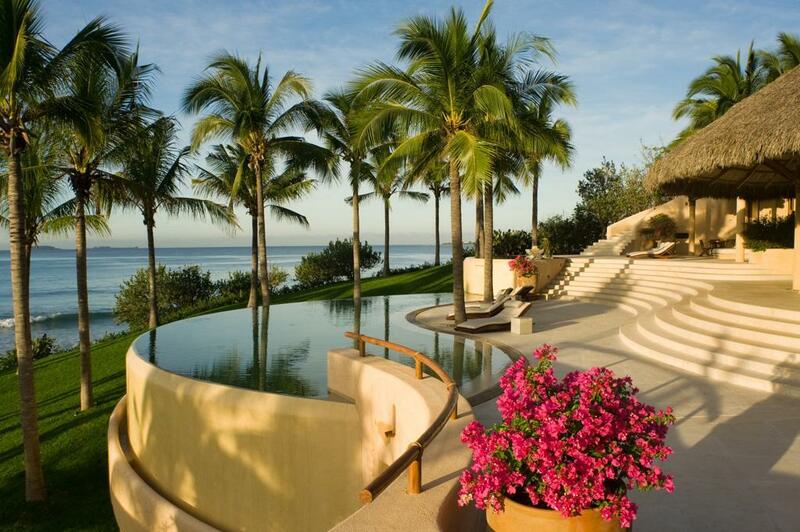 Guests walk through a lush jungle of mature plants, palms and trees.